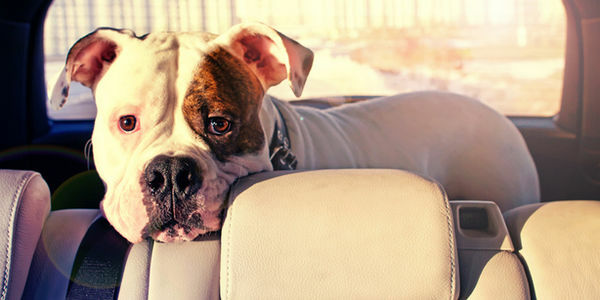 Every year, thousands of animals succumb to heatstroke and suffocation because they've been left in an unattended vehicle. Even with the windows cracked, temperatures inside a parked car can climb from 80 degrees to 112 degrees in less than 30 minutes. It is far too easy for a quick stop at the ATM or the drug store to turn deadly—and that's why the ASPCA is asking for your help. Leaving an animal alone in a car is more than just a bad idea, it's a form of animal cruelty. And since the ASPCA can't be everywhere at all times, we need YOU to be our eyes and ears on the ground. If you see an animal in a car on a hot day, try to locate the owner or call 911, and stand by the car until help arrives. With your help, we can keep more animals safe this summer and all year long. Sign your name and pledge to save lives this summer!